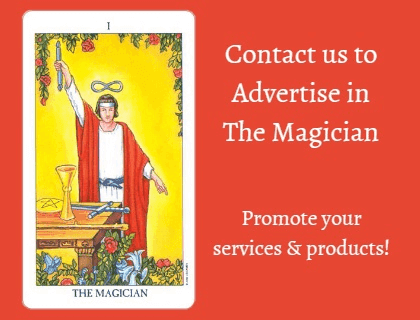 The Magician is The Tarot Guild of Australia’s official magazine. The Guild publishes 3 editions every year. The Magician gives all T.G.A. members and subscribers the latest, relevant and most interesting information about Tarot, Lenormand and Oracle. Guest authors, celebrities, and experts regularly share their insights and reflections on divination and prediction subjects and themes, offering readers the benefit of their many and varied ideas, perspectives, expertise and experiences. Get up-to-date information on Tarot, Lenormand and Oracle events, workshops and meetings being held locally, nationally and worldwide. Past and present editions of The Magician provide an excellent resource for the aspiring or expert reader, teacher or writer! All financial T.G.A. members automatically receive a subscription to The Magician. However, you don’t have to be a T.G.A. member to receive The Magician. Subscriptions are available to both Australian and International lovers of Tarot, Lenormand and Oracle. Get a 12 month subscription to the Magician today! Simply pay online and you’ll receive the next issue of The Magician (via email or post) as soon as it becomes available. Don’t want to subscribe to The Magician? Not a problem – you can download single digital editions of The Magician and have a link to each copy you purchase sent straight to your inbox! Price is only $4.00 for Members and $7.00 for Non-Members, per edition. The Magician magazine contains the most amazing and educational tarot articles, links to tarot Workshops, upcoming events, and lots, lots more. So don’t miss out… grab a copy of The Magician today! 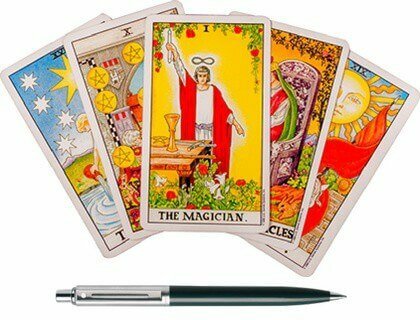 If you are a budding tarot writer or tarot blogger and would like to publish an article in The Magician, we would love to hear from you! To find out more, contact the editor of the Magician today. Are you a tarot reader, teacher or business owner, wanting to reach out to other tarot enthusiasts to promote your services or products? The TGA offers a number of attractive advertising packages that allow you to connect directly with your target market. Contact the TGA to find out more.